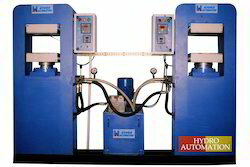 Owing to the expertise of our professionals, we have been engaged in offering Hydraulic Rubber Moulding Machine. Our molding machine is manufactured using the most-advanced techniques under the observance of skilled professionals. The offered molding machine is used in diverse industrial sectors including stainless steel & automobile. 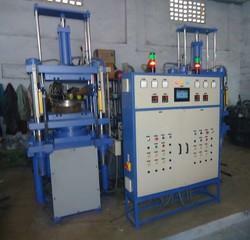 This molding machine is examined after production so as to make certain its flawlessness. We are Manufacture of Hydraulic Rubber Moulding Press is designed to increase the production and is suitable for brake lining, rubber components like rubber mats, mica, rubber auto components, plywood pressing, wax filtration, rubber flaps, scooter mats, etc. with multi production. Hydraulic Molding Presses are also equipped with advance technique of adjustable air breathing system. Looking for Hydraulic Rubber Moulding Machine ?